3. 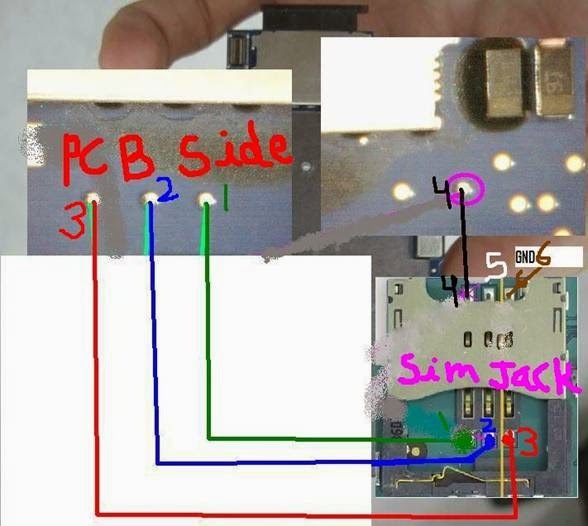 If no success then check track line continuity from one to one sim connector to exact sim card internally circuit point on pcb carefully . 5. If we found any track missing here then apply jumper as shown in image carefully. After all done mobile will accept sim card properly. During track line checking on points on pcb we should have full knowledge of internal sim circuit point because wrong jumper can destroy sim circuit completely.